Got a message on WeTheArmed.com this morning about Uprising. It contains SPOILERS. So don’t read past the break if you don’t want SPOILERS. This dream was right from Uprising UK. I could smell the salt air and jet engine exhaust. Don’t know if other authors actually dream in there created universes, but it was pretty dang cool. A lot of people are telling me that Uprising UK was more fun to read than USA…. They are digging it more. I like it better. I just hope Russia lives up to it! 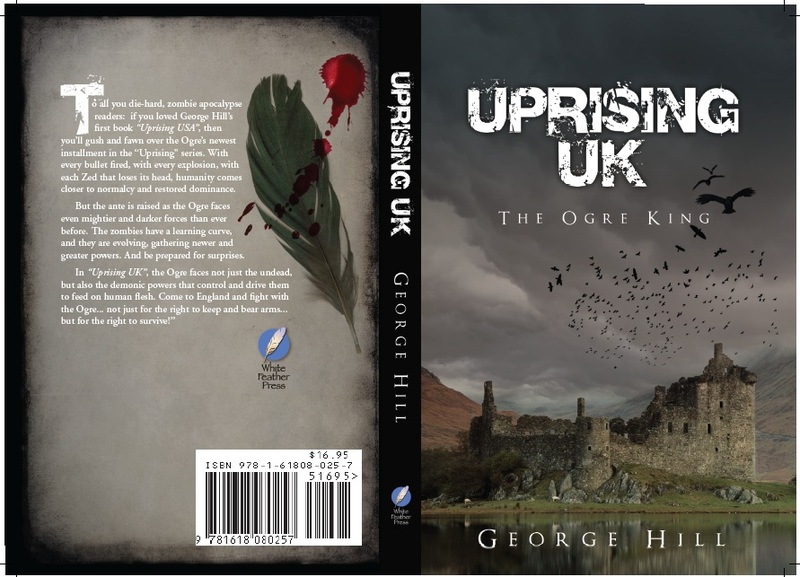 Evidently Uprising UK is now available in print from Amazon.com now! So when the said 5-7 business days, evidently that meant tomorrow. If only there shipping was that quick! Uprising UK is going to be available in Print on Amazon.com within 5-7 business days. Uprising: UK. My second “Winning the Zombie Apocalypse” book (in a series of four) is now available for the Amazon Kindle. I really like Uprising: UK. I think it’s an improvement over the USA which felt more rushed. I’ve already got it on my Kindle Reader on my Smart Phone. No formatting errors this time! Booyah! Get your copy now and I’ll sign your Kindle at the Crossroads of the West Gun Show in SLC this weekend. In this scene “Uncle Musket” is sitting on top of an LAV outside of the Castle Inverness. Uncle Musket stayed with the vehicles, sitting on top of one with his musket in one hand and a suppressed 1911 in the other because of my insistence. Until he could fit a gun muffler to the old muzzle loader, it was an operational necessity. Begrudgingly, he accepted that. He flicked the safety on and off. Click. Click. Click. Click. Click. “Huh?” Musket stopped and listened, tilting his head. There was something out there in the fog. He could hear shuffling off in the distance, but he couldn’t tell where it came from. He stared into the swirling mist, looking through the light and dark and not seeing anything. But he could feel it. He left the pistol off safe. Things get out of hand quickly.